Mana Air specializes in the installation and maintenance of air conditioning ventilation and electrical services. From domestic and commercial air conditioning to ventilation, electrical installations and data/voice cabling, Libra Facilities Ltd has the experience, professionalism and skills to address our clients' requirements. The Industrial Air Conditioners range tailors to the needs of all industries both Direct Expansion (DX) and Chilled Water systems can be designed to suit whatever business one is in. 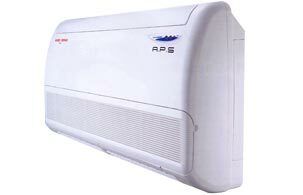 Furthermore, Mana Air is one of a very few companies with the expertise to set up giant air conditioners up to several hundred tons capacity. Mana Air is committed to looking after our customers for life and will strive to provide the highest level of service at all times.